With the weather changing I thought I'd brighten up my favourite muffins recipe with a tropical twist. 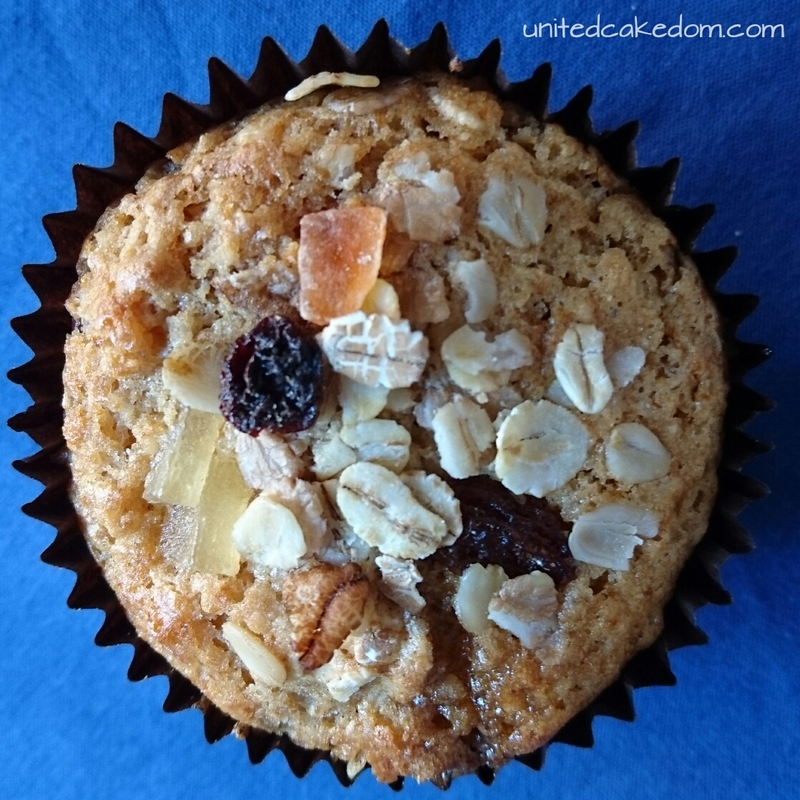 I used coconut oil in place of the normal sunflower oil and added some desiccated coconut instead of sultanas. Then smooshed up a banana for extra oomph! And it wasn't just any old muesli it was a tropical muesli. One made by Dorset Cereals Simply Fruity Muesli - it has pineapple, papaya, and sultanas. Normally I wouldn't mention a brand name. Gone are the days when bloggers can just say they like something without someone thinking that they were paid to mention it. So, normally I wouldn't mention the brand I used and keep it neutral; as I did in the ingredients list. I broke my norm this time because I really do value and enjoy the Dorset Cereals product. They have great flavor combinations that work great in these muffins. Therefore I should say that they have in no way shape or form endorsed this post. Nor given me the product to "review." In fact they are probably not even aware that I am doing so! Unless one of you tells them. 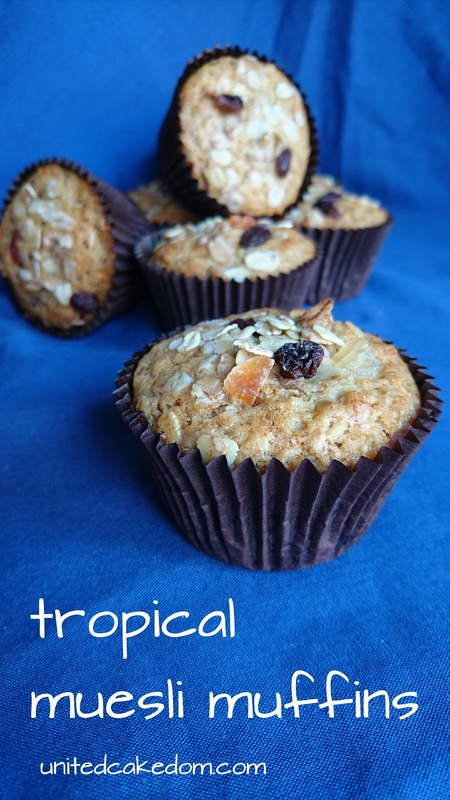 These muffins are good and will make the whole kitchen smell like a tropical island. That might not be 100% accurate as you won't smell the ocean or other outdoor smells - just tropical fruit smells! Like coconut. Mostly coconut. Heat the oven to 200C and line the cupcake/muffin tin with 9 paper liners. Sift both of the flours into a mixing bowl and mix in the baking powder, muesli, coconut, and sugar. In a jug mix the oil, egg, milk, and smooshed banana. Pour the wet into the dry ingredients and gently mix until just combined. 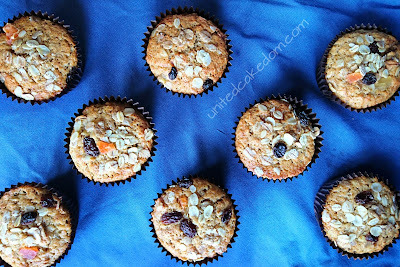 Divide into the paper cases and sprinkle with extra muesli. Bake for 15 minutes. Serve immediately with butter! 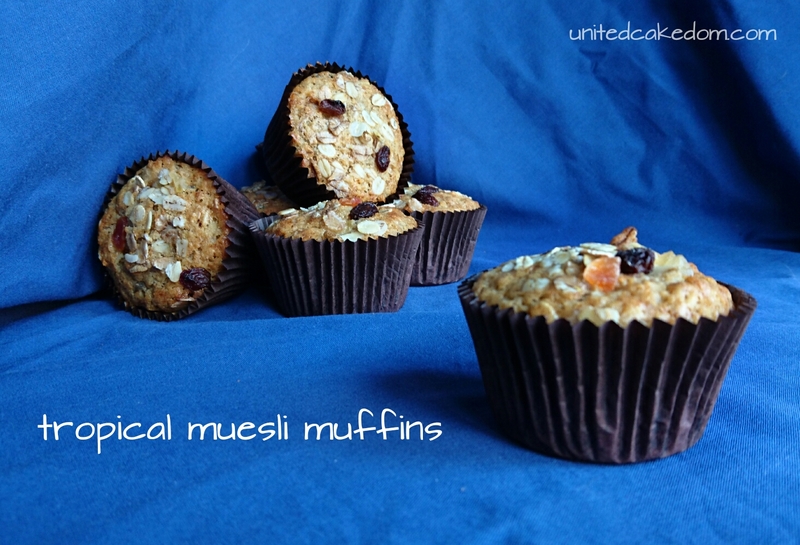 notes: find the original muesli muffin post here! Just to reiterate that Dorset Cereals do not endorse this post - for more information see my contact/policy page or have a read of this post I wrote a while back about advertising and my blog! They are a perfect treat in the lead up to summer!! Healthierish! They are pretty tasty and great with a good cup of tea or coffee!